Whether you are building a new house or remodelling the current one, choose carefully. Style, material and colour are important features to consider when sorting through the endless options. PVC Doors Belfast – Beautiful uPVC Doors That Make a Dramatic Difference. Whether you are building a new house or remodelling the current one, choose carefully. Style, material and colour are important features to consider when sorting through the endless options. Sliding doors for instance, take up less place than swing-out doors. French doors with transparent or opaque glass bathe the room in light and give it an elegant feel. With the right type of internal and external doors from The Home Design Group, you can make a great visual impression while enhancing privacy and significantly reducing energy cost. uPVC Bi-fold doors transform any living space by drawing in lots of wonderful natural light to illuminate the living areas of your home. Choosing a front door that suits your specific requirements is a big decision because your front door says a lot about you, your home, and your style. We design and manufacture high quality door canopies that can transform the elevation of any building, creating a grand entrance from a simple doorway. uPVC French doors will greatly enhance any room, helping to add the illusion of additional space by flooding the interior with natural light. 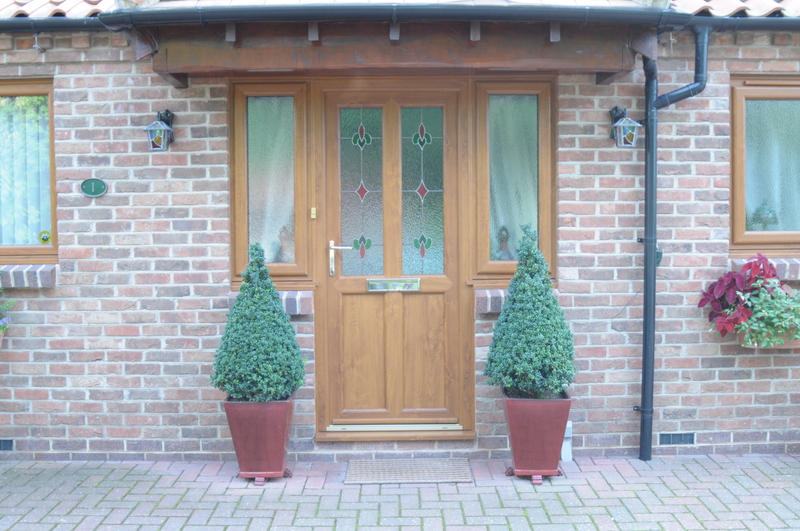 A door canopy can transform a simple doorway into a grand entrance. Aesthetics aside, it also offers you and your front door shelter from the rain, snow and sun. Homeowners say that it also helps them save a small amount on their energy bills. At the Home Design Group, we design and manufacture high quality door canopies to match the architecture of your home. They are also easy to install. We will be happy to help you find the perfect one. Choosing a front door that suits your specific requirements is a big decision because your front door says a lot about you, your home, and your style. As Belfast’s preferred door suppliers, at the Home Design Group, we offer a full suite of attractive options to meet every budget with expert installation to extend the lifespan of your investment. Everything was well explained by Mr Hammill. The fitters were very courteous and worked tirelessly to get the job done. Overall I have been impressed by the whole experience.